My Kinda Art: ho ho ho . . .
ho ho ho . . .
Hello and welcome! 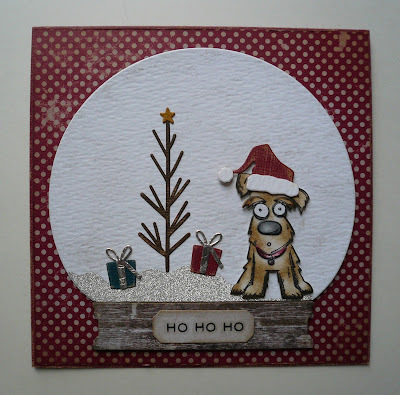 I'm back with my first card for the Christmas season using some new products from Tim Holtz. I used the new Home For The Holidays Dies, Snowglobe #2 Dies, Christmas Paper Stash and Christmas Remnant Rubs. I also added one of the dogs from the Mini Cats and Dogs set because in my brain it fit perfectly into this holiday scene. Right? 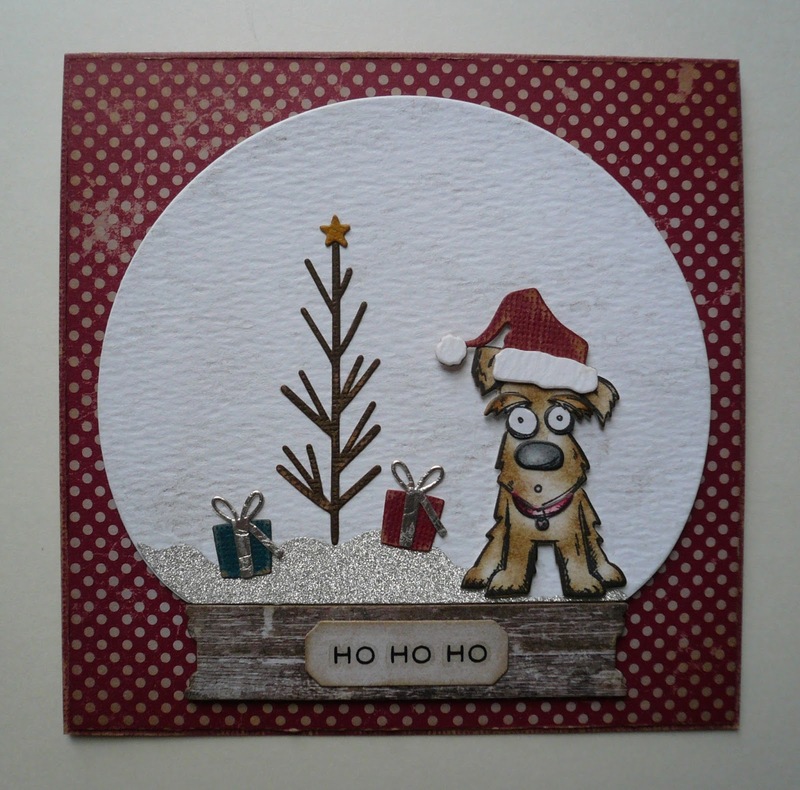 I've linked this card to the Simon Says Stamp Monday Challenge Blog where this weeks theme is "It's A Dogs Life". Thanks for stopping by! So cute! I have the larger stamps - may have to buy the little ones, too.